The tumulus is a mound form of burial that dates back to prehistoric peoples 4,ooo to 5,ooo years B.C. Examples can be found throughout Europe, Asia, and North America. There are many examples in the United States from Maine to Georgia and as far west as the Dakotas and Kansas. These artificial mountains or conicals, first built in North America in what is now Wisconsin, have been carbon dated to about 1200-1500 B.C. The tumuli are dome-shaped hills used for ritual burials. Other examples, such as Effigy Mounds in Eastern Iowa, were built some 3,000 years ago for the same purpose of creating an imposing memorial to the dead. Today, tumuli as a burial form can be found in some large cemeteries. The example above is in the Metarie Cemetery in New Orleans. 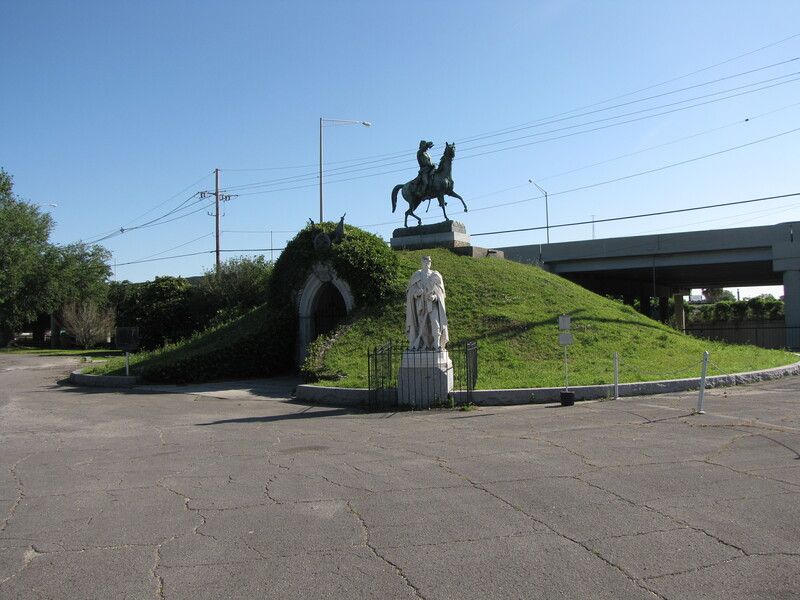 The mound creates an imposing monument to memorialize the communal tomb for soldiers of the Army of Tennessee, Louisiana Divison. Inside is the tumulus, among others, is the grave of Confederate General Pierre G. T. Beauregard. 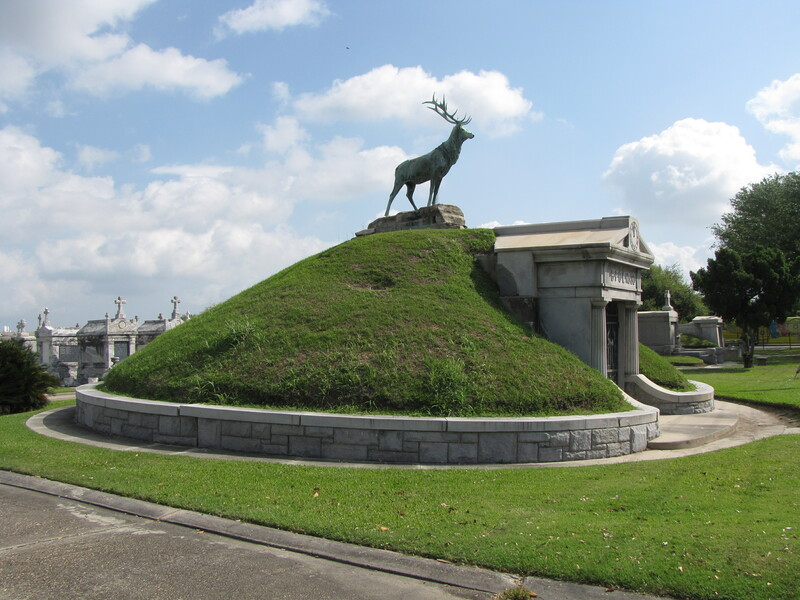 Below is the communal tomb for the Benevolent Protective Order of Elks in the Greenwood Cemetery, also in New Orleans.